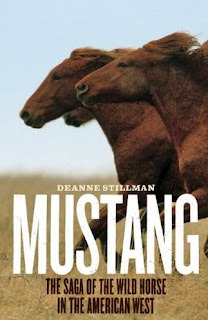 "Mustang: The Saga of the Wild Horse" is well versed in history, science, and politics and point unflinchingly towards the impending doom headed the mustangs way if there isn’t a serious turn around from the path they are quietly being herded down through officially sanctioned government actions. Ms. Stillman states, “Now is the time for an immediate moratorium on wild horse removals, at least until population studies are brought up to date” and there is compelling evidence that the wild horses and burros actually still roaming free may be dramatically lower than the “officially posted populations”. Let's Head Off The Horse Thieves At The Pass - Opinion L.A.